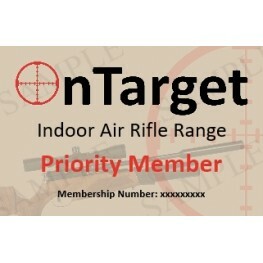 Becoming a member with OnTarget Range is optional, but amongst the other benefits members enjoy cheaper prices on their Lane Hire, Bottle fills, access to regular tournaments and competitions and special discounts on featured products. Once you purchase a membership with OnTarget Range we will contact you for details and set up an account for you, your card will be dispatched to your home address. Becoming a member with OnTarget Range is optional, but amongst the other benefits members enjoy cheaper prices on their Lane Hire, Bottle fills, access to regular tournaments and competitions and spec.. Renew your membership with OnTarget Range to enjoy these member benefits!Members only reduced rates for lane hireTournamentsCompetitionsSpecial offersLow cost bottle refillsNewsletterNEW for 2017 – In..